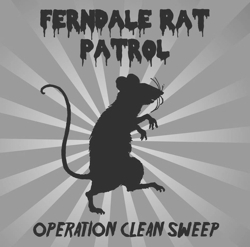 THE FERNDALE RAT PATROL was formed late in the Summer of 2017 by Ferndale resident Laura Mikulski and associates after a City of Ferndale meeting about our rat problem. Citizens were left distraught over the City’s inability to deal with Ferndale’s growing rat problem. Due to legalities, costs, manpower, etc., the only option the Council could offer was to continue down their present path of action –hiring exterminators. These concerned citizens met again shortly after, the City was not involved, and the Ferndale Rat Patrol was born. Their aim is simple: Rid our city of rats through the power of community. 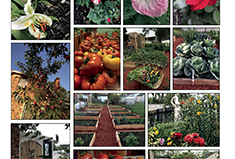 The FRP differs vastly from conventional pest control services. The FRP does not use poison. Instead, there is a focus on community support, education and outreach involved: Neighbors talking to neighbors, and neighbors collaborating with each other. The FRP is unique in that they are a community-based, volunteer organization. All members chose to be involved in the FRP, whether actively or passively. They share knowledge, ideas, methods and sometimes even equipment. The FRP’s operations affect the city of Ferndale in a variety of ways. 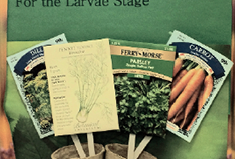 Laura Mikulski chatted with Ferndale Friends about the Ferndale Rat Patrol. FF: When and how did FRP come into existence? Laura Mikulski: The FRP came into being after the Wilson Park Neighbor-hood Group, on the East side of Ferndale, approached the City looking for a rat control solution. The City set up a sort of townhall meeting, bringing in our code enforcement and a pest control company to explain how to control rats. Our code enforcement officer explained that proper rat control begins with keeping a clean yard and adhering to ordinance. Most in attendance already understood this, and personally kept their yards clean. Almost everyone knew someone in their neighborhood with a yard that contributed to the rat issue, but none were sure how to address it besides reporting to code enforcement-a sticky subject at best, since it can ruin relationships with neighbors if word gets out that you reported them. The pest control company in attendance offered one solution: poison. This infuriated residents who had pets poisoned by dead rats, as well as those who had owl populations diminish due to poisoning. When it became clear that the city wouldn’t take an active hand in ridding the city of the rats currently in town, a group lingered behind to discuss solutions and community organization. FF: What is the aim of the FRP? How does FRP differ from other pest control services? The group is intended for those ready to take action to reduce the rat problem in the city, and to dispel the taboo of discussing the significant rat issues the city is facing. We intend to use methods that are not detrimental to the overall health of the environment (minimizing, if not eliminating the use of poisons). This group is intended for those that are ready to take action and learn, not to blame, complain and wait for others to do something. We are not a pest control service – we’re a grassroots organization of citizens and neighbors who perform outreach to educate on what drives the rat population, help eliminate rat habitat, and empower homeowners to remove rats effectively and manage their property to eliminate the rat population. FF: What makes FRP unique? How does FRP affect the city of Ferndale? The Ferndale Rat Patrol is unique in that it’s a collaborative effort to control the rat population in the city without relying on pest control companies or code enforcement. This is a citizen-empowering-citizen movement to depopulate and control rats, where we seek to help each other rather than place blame or look for others to fix the problem. It affects Ferndale in a huge way: Less poisons are being used, less rats are running rampant. FF: What is the future of FRP? What are your goals? Our goal is to safely reduce the rat population, always. Ideally, there would be none. They’re non-native, wildly destructive, and pathogenic. Additionally, conventional means of depopulating rats increase risk of secondary poisoning and death to pets and predators, something we’re staunchly against, and through education have reduced. It truly takes massive community involve-ment to make this happen on such a wide scale, and our group is growing daily. It’s become less and less taboo to discuss incidences of rat and meth-ods of extermination, which makes it easier to share knowledge and help without the embarrassment or stigma of having rats. People are waking up to the idea that this isn’t just a problem for a few people. It’s a city-wide issue that can only be resolved through coordinated effort. Last year we did a “clean sweep” by performing outreach, and asking those who saw dead rats, evidence of rat, or killed rats personally to report in through a survey tool. In one month, September 2016, we tracked 437 rat kills, 257 which were snap traps that we recommended. We saw a major reduction in population that’s held strong through early 2017, and just rose again in September of this year. We’ve been tracking since about mid-month August, and have well over 200 rat kills accounted for through smart trapping through-out the city. 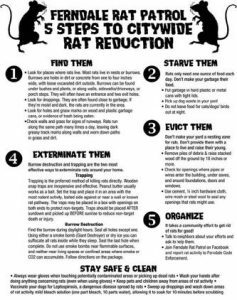 We also created a flyer that we distribute when performing outreach so that neighbors can spread the word and we can reach those who might not be home with tips on how to eradicate rats in their neighborhood.